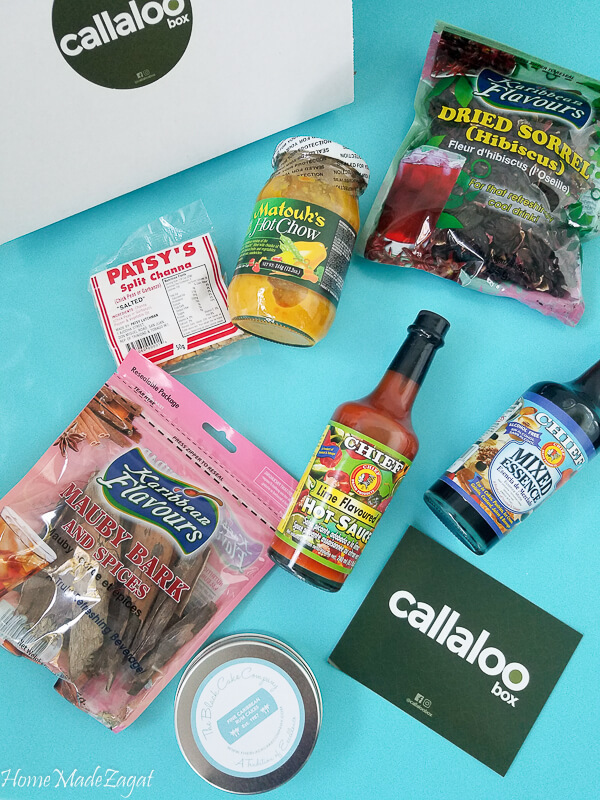 A review of the December Christmas box from Callaloo Box. I received this box for free, but all opinions are 100% mine. 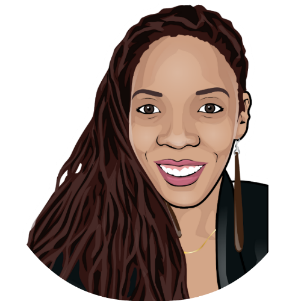 If you still have not heard about this Caribbean subscription box operation then I think you need to get onto the internet a little more. 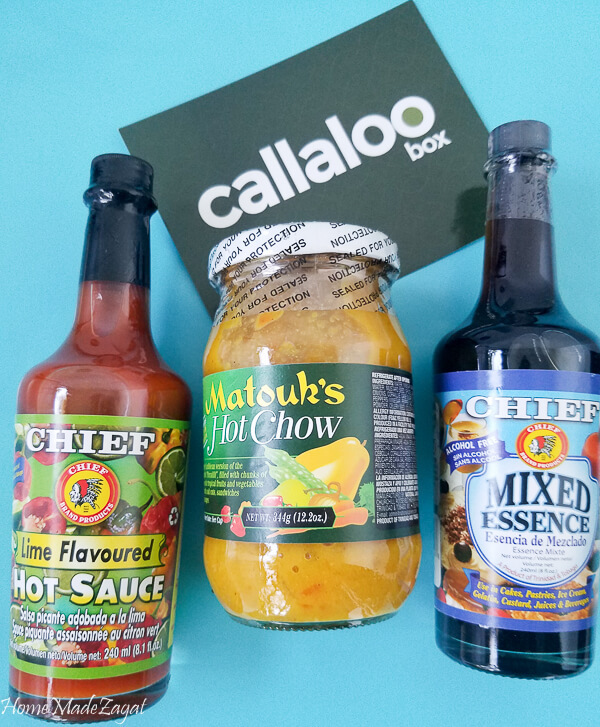 Callaloo box has been exciting me since they reached out to me a few months ago. And from box, to box, to box I have not been disappointed. After seeing a few previews of their December box on their IG, I was extremely excited to see what else was in there to bring back some TriniBago memories. Their December box promised to bring the taste of Christmas straight to my door. I had to wait a bit since I wasn't around when it got delivered but when I got home and saw the contents... I started to dance. Yes... dance. This box has the quintessential Caribbean Christmas items. The things you know when you see it come out, Christmas around the corner. Even though I make my own chow chow, seeing a bottle of Matouk's reminded me of all those ham sandwiches my mom used to make with leftover ham. Homemade bread, ham slices, lettuce, tomato and chow chow. Heaven. My dad would also add some pepper sauce. Then there is that dry sorrel and mauby. I know most people have a love/hate relationship with mauby and how bitter it can be. 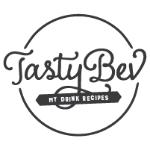 But you have to try my recipe with these barks and thank me later. And there's dried sorrel to make your sorrel drink. And the mixed essence would be the perfect addition to making these two drinks. Too bad they couldn't add some punch ah creme in the box. But the Christmas winner, champions of all champions, take it home item is always that black cake. Yes, there is black cake in the box. I love that it's not a big pound of cake, like what I would make if I was making cake this year. Instead, it's a cute little cake that is perfect for someone who is just getting a little taste of Trini Christmas for themselves. Yes that is a bite on the cake. I had to make sure that this was a moist, tasty cake before I tell you guys about it. The Black Cake Company did well with this. And it's not short on the rum eh. I was torn between just eating it all in one sitting or savoring it for another day. 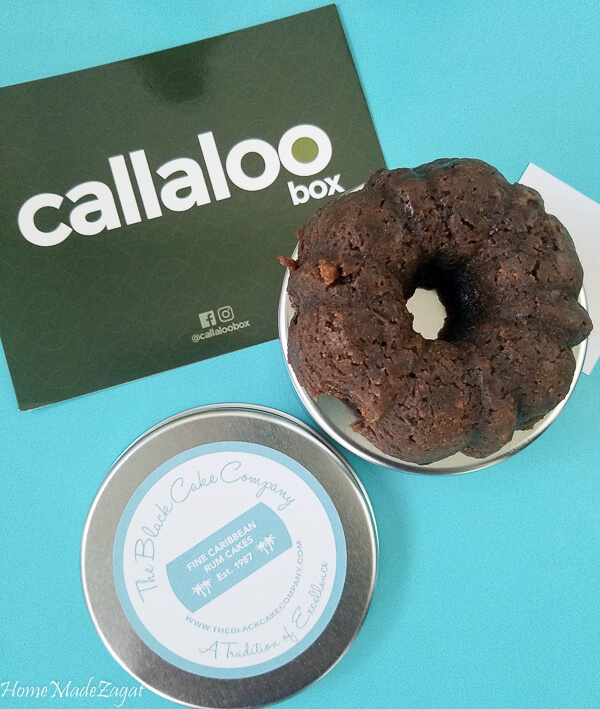 Purchasing from Callaloo Box is pretty easy. Both boxes are available for month to month subscription (you can skip or cancel anytime you want to. The Callaloo Box option is also available to do one time purchases. And don't worry if you think you are out of time, they are shipping throughout December but do move quickly if you want them to get it in time for Christmas. And did I mention that these ladies were featured on Essence.com for their amazing efforts with their product? So you better get in on it quickly. 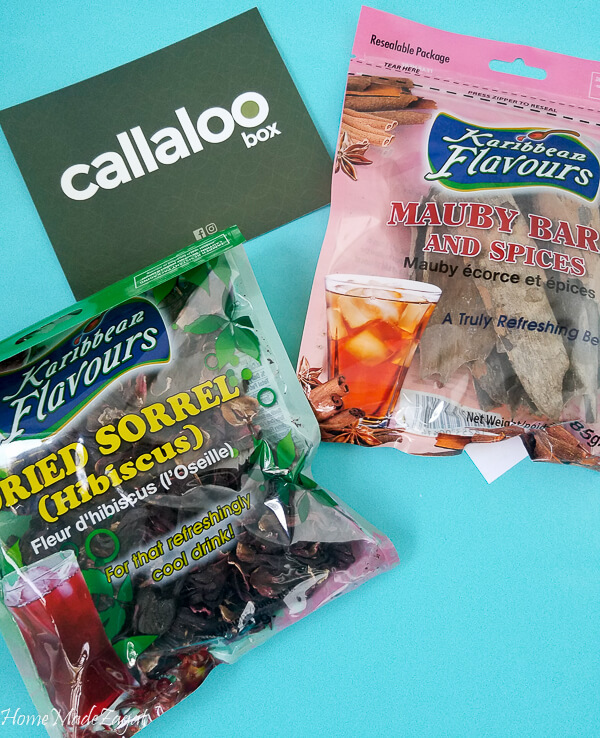 *Giveaway* As a Christmas present to my readers, we (Callaloo Box and I) are giving away a Christmas Box. Entering is as easy and providing your email address at this link. This is open to U.S residents only.Ends December 10th at 6pm Est!! 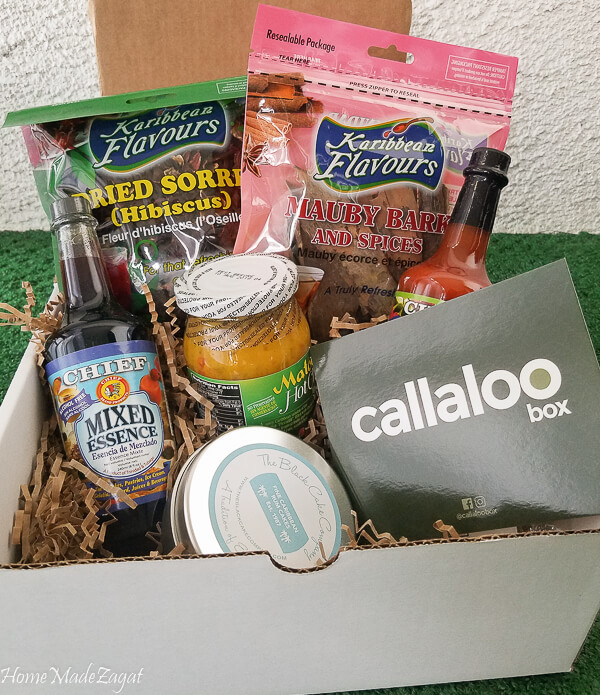 Callaloo Box is really a great present to be sent to someone who is missing home, whether it is the snack box or the product box. Make sure you do some digging around on their website to see all their options and make someone happy this Christmas.